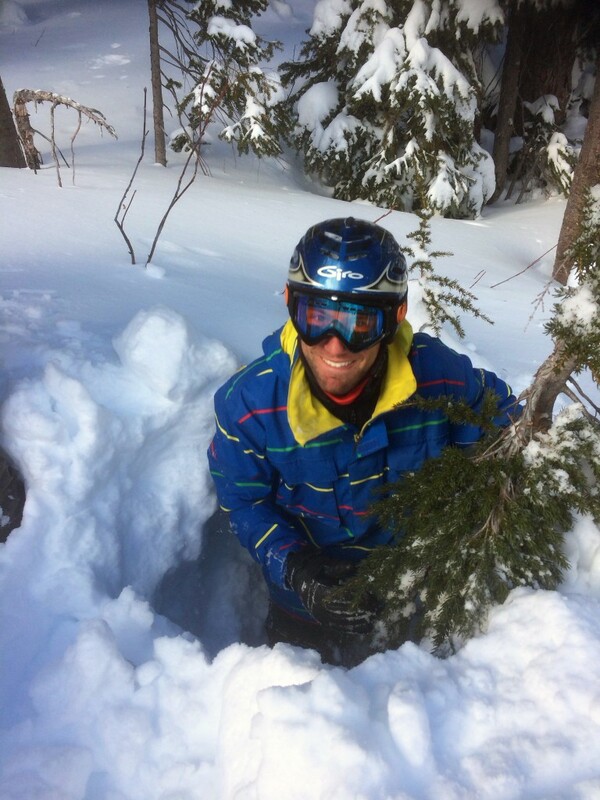 Skiing regularly in North America, we are often asked the same question: what is a tree well? 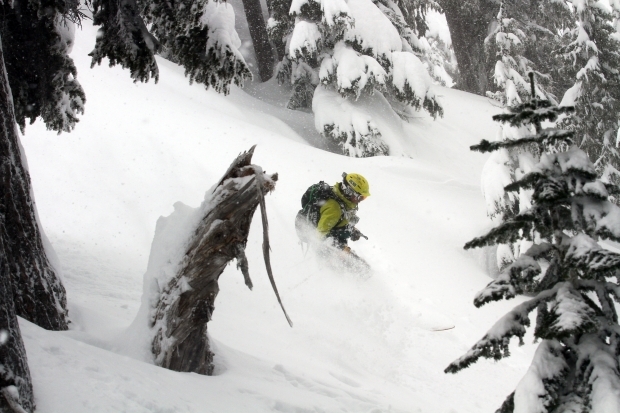 I am rarely happier than when skiing pow through the trees. It’s a really special experience. It’s another reason I fell in love with North American skiing (not that great tree skiing can’t be found elsewhere, of course, but North America is famous for its high tree-line and legendary tree descents). In all honesty, I think I would say tree skiing is my absolute favourite example of our sport. Avalanche awareness is something we always want to shout about through this website. Everyone should improve their knowledge in this field if they have even the remotest desire to ski away from the pistes or in the backcountry. However, with tree skiing comes a different kind of danger. Tree wells are basically holes that form arounds trees as the season progresses, the base increases, and they are particularly dangerous following a large dump. These holes (wells) come around when low hanging branches don’t allow snow to form a solid base around the tree. They can be deep! On a training exercise last year, a friend of mine jumped in one to showcase how deep they can be. He is over 6 feet tall and almost disappeared entirely. Tree well training on the AST course. Awareness is the key thing here. We encourage skiing in the trees wholeheartedly, but always do so with a buddy. ALWAYS BUDDY UP! Keep your buddy aware of you through regular noises (whoops work just fine) if eye sight of one another is lost. Don’t stop above trees. Don’t ski too close to them. The danger is losing your balance and toppling into these hazards. Last week we stumbled upon the following YouTube clip which prompted us to mention our thoughts here. We really encourage you to watch the following video, although it is a tense watch. We also must stress that this is a real world, raw, unscripted effort to free their friend from a terrible situation. This is NOT an example of exactly how to carry out a tree well rescue BUT an example to educate people on what these dangers may entail. If you have any questions about where to seek training or particular hazards please leave a comment below and we’ll do our best to answer your concerns. Stay safe out there pow fans.